The coffee station, oh how we’ve missed you! 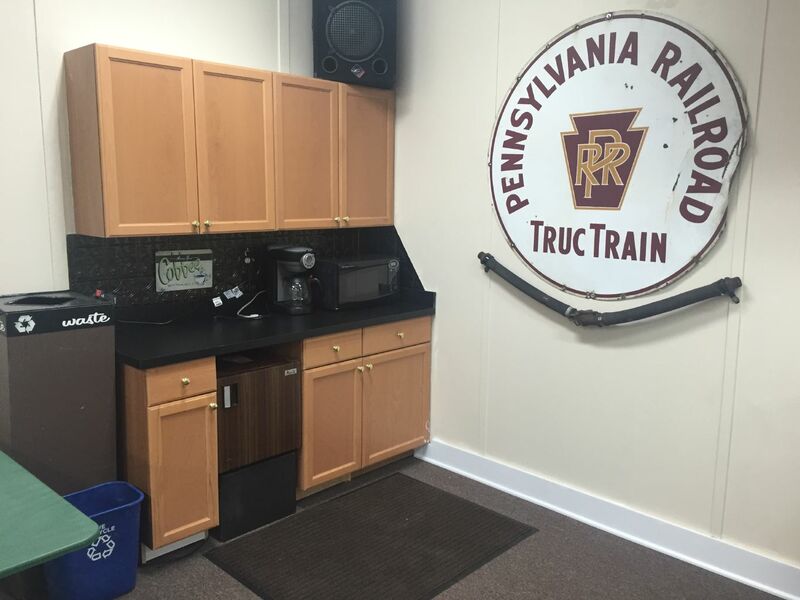 Mike came up with a novel way of displaying our freight car brake hoses under the TrucTrain sign. I can’t remember seeing anyone else actually showing the air hoses connected.